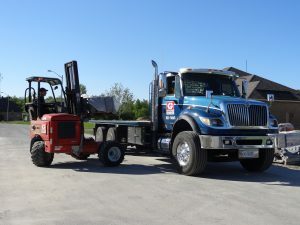 The tandem axle flat deck truck comes with a Moffett fork lift to allow for easy maneuverability. 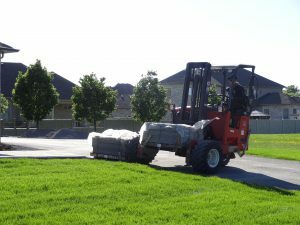 The use of the Moffett fork lift allows for a wide variety of products to be delivered. So if you are looking to rent a tandem axle flat deck with Moffett to move your products, get the job done right and call Greely Sand & Gravel Inc. today! and many other products… Inquire today!